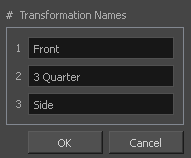 Rename your transformation chains in order to keep track of and better organize your rig's various poses. In the Timeline or Node view, select the drawing layer containing the chains you want to rename. Make sure your current frame contains a deformation chain. 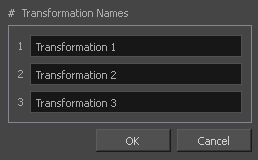 The Rename Transformations dialog opens. 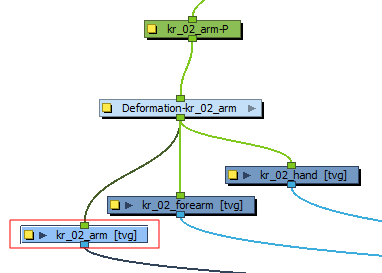 Rename the different transformation chains (deformation chains) to match the view they are associated with.